Increase Your Sales On The Go! 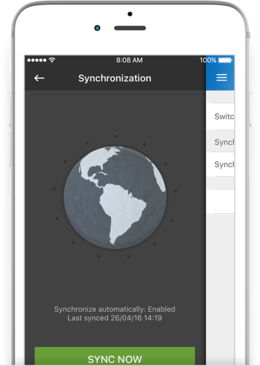 functions from anywhere, using your iOS or Android Smartphone. You’re sitting in the reception area of one of your clients, about to go into a meeting. 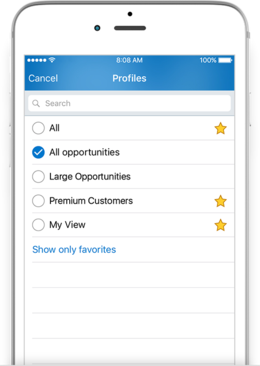 You want to make sure you have all the facts and contact names of the accounts straight, so you quickly refresh your memory from Pipeliner mobile. You’re doing a presentation at a client site. In the room are 3 people from different departments of the company, whom you have never met. You quickly realize that they could each be their own prospect for your product or service, so you enter them as leads from the same company. 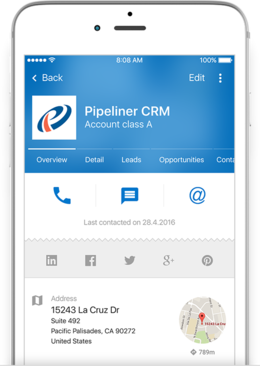 Coming out of an on-site client meeting, you access Pipeliner CRM Mobile App activity management to indicate your meeting is done - and see that you have an online presentation for another client in half an hour! You’d better get back to your desk so you can do that! Data is only useful if you can easily access it, interpret it—and then use it to make better decisions. We deliver 27 popular, pre-built KPIs that you can use to immediately analyze business for a single salesperson, a sales unit or territory, or a whole sales team.